I remember walking past Goodwood Oval once, it was just after school time, and I'd never seen so many school aged kids out on a playground. It seemed the whole neighbourhood was making use of their local park, and this same community spirit hits me every time. 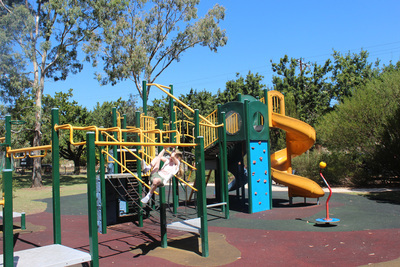 The actual playground is in the south-eastern corner of the oval. It's reasonably sized and features a slide, swings, monkey bars, a flying fox, a climbing wall, plus ladders, bridges, and a fireman's pole. 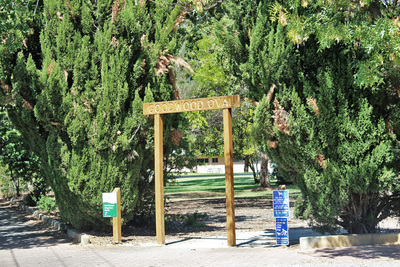 There's even a fenced off area with a cubby house and smaller equipment, perfect for younger children and babies. The playground looks out over the main oval, which has games of cricket or football on for some nights and days of the week. 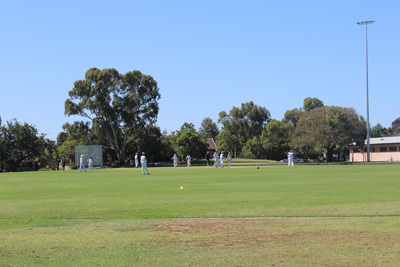 It's great if your kids love sport, but keep in mind it could affect your use of the oval. There is another smaller oval, generally intended for dogs, and it's uncommon that both ovals are booked out for sport at the same time. Goodwood Oval is a off-leash area, and even dogs aren't allowed within a certain distance of the playground some obviously wander in. It's a good thing to consider if your kids have any real fear of dogs. The whole oval is large, and including the playground, there are plenty of places to run around and explore. 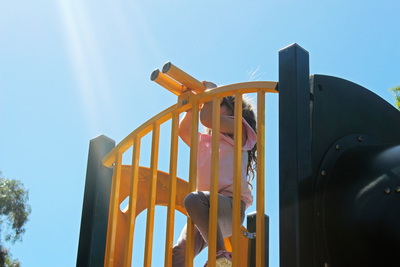 It's good for imaginative play, as you're not just greeted with a playground and a large dusty oval. 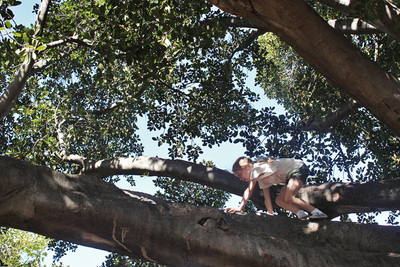 If you've got any climbers there are also several climbing trees. One at the opposite end to the playground has wide sweeping branches, and is one of the easiest and most exciting ones to climb. There are other facilities like picnic tables, barbecues, and of course the ver important toilets. It may not be the best playground around, but it should definitely be a favourite if you're a local. 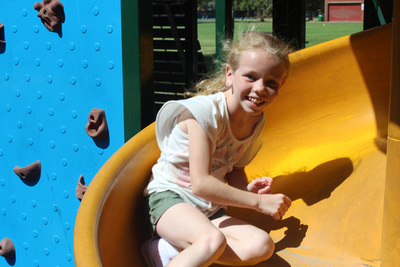 Where's your favourite Adelaide playground?